Erika Brennan works in Division I college athletics, a field dominated by men. Find out how she began her career and worked her way to a rare position coaching a top golf team. A recent study by the Tucker Center for Research on Girls & Women in Sport found that only 20 percent of all college coaching positions for men's and women's teams are filled by women. Less than half of the coaches of women's teams are women. 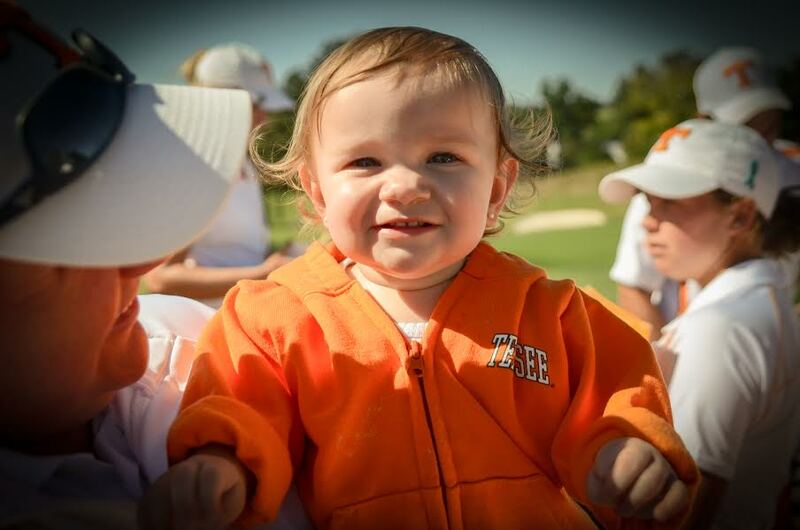 Erika Brennan, Assistant Women's Golf Coach at The University of Tennessee, sat down with AllParenting to share how she's achieved her dream job in Division I college athletics. "I began playing golf around age 4"
"When I was young, I wanted to be a firefighter," says Erika Brennan. "I've never been a girly-girl so I knew that I wanted something that would allow me to be more active instead of bound to a desk." She looked up to her father, a firefighter with a 30-year career. He helped introduce her to sports at a young age. "I began playing golf around age 4 and enjoyed going out to play with my dad and his friends," she says. Brennan tried several sports but got serious about golf in high school. She went on to play for NCAA Division 1 Western Carolina University. "I knew that I wanted to get into coaching"
After college, Brennan interned with the American Junior Golf Association. "In the back of my mind, I knew that I wanted to get into coaching, but I also knew that having a sound understanding of golf swing mechanics would make me a better coach," she says. At the David Leadbetter Golf Academy, she became the only Female Certified Instructor in North America. After coaching for five seasons at Saint Leo University, she accepted a position as Assistant Women's Golf Coach at the University of Tennessee. "There are so many wonderful traditions at Tennessee," says Brennan, "and it's been really great being a part of them." "I try to motivate, empower, build up and offer a hug when needed"
Brennan and her husband welcomed a daughter a year and a half ago. Becoming a mom changed the way Brennan approached coaching. Suddenly, she could imagine the moms of her student athletes entrusting their daughters in her care. "I try to think like a mom first when it comes to them," she says. "I try to motivate, empower, build up and offer a hug when needed." When she's traveling for tournaments, Brennan stays in touch with her daughter by reading board books every night using FaceTime. "Encourage our daughters to potentially fall in love with coaching"
"Getting our daughters outside early is important to foster a love of sports. I think when the parents show an active interest it makes a big difference. It's all about making it fun, especially at first," says Brennan, who cautions against encouraging kids to specialize in just one sport too early. "To encourage our daughters to potentially fall in love with coaching, I think it's extremely important to get them around good coaches early on," says Brennan. "Coaches that can motivate and empower, not coaches who are negative and have a win-at-all-costs attitude." Show your daughter that coaching isn't a field exclusive to men. Consider volunteering to coach youth sports or finding teams coached by women who can model leadership roles to your daughter.